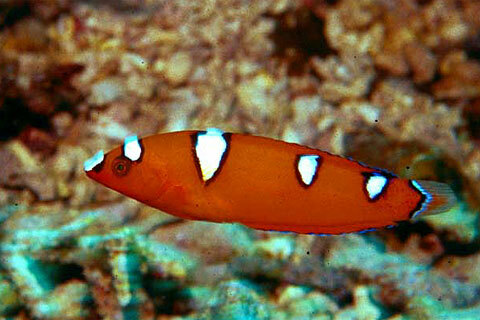 The Yellowtail Coris can be found in lagunas and on reefs, at a depth of one to fifty meters. Its diet consists of molluscs and sea urchins. The adult has a yellow tail, but the juvenile, shown here, is red with white spots on the back.